Hong Kong, July 10, 2014 - QIMA, a leading global provider of quality control services for businesses importing from Asia, Africa, Southern Europe and Latin America, today announces its 2014 Q2 Barometer, a quarterly synopsis on outsourced manufacturing and the quality control services industry. 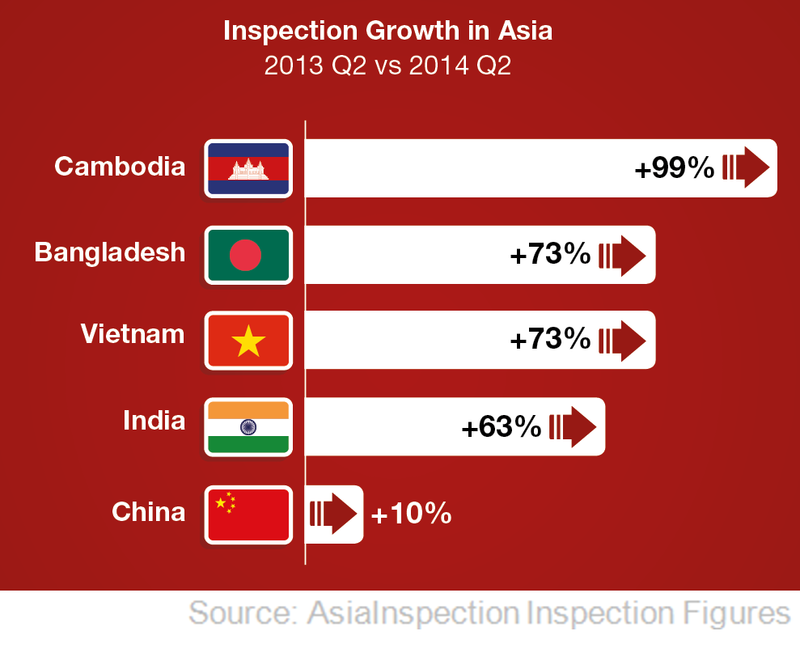 Meanwhile, the largest inspections growth in Asia was Cambodia, up 99% year over year, then Bangladesh and Vietnam 73% each, India 63% and China 10%. In growth by industry category, food and food container inspections were up 55% quarter over quarter globally. 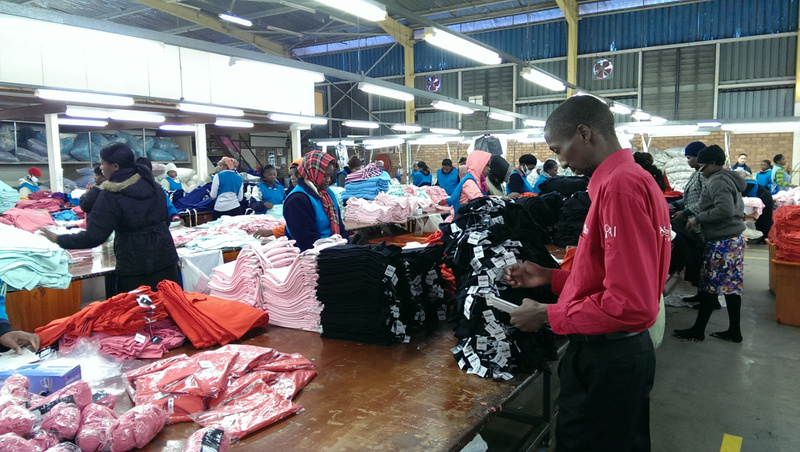 "Time and time again we see outsourced manufactured products putting consumers at risk. The fact that 200,000+ products made it to store shelves containing a known cancer causing carcinogen shows the need for stricter controls and testing at the source. This reflects the sheer scale at which consumers are being placed at risk" said Sebastien Breteau, QIMA CEO. North American and European inspection groups 'The Alliance' and 'The Accord' are together auditing 2,100 of Bangladesh’s 5,600 garment factories, which employ some 4 million workers and account for 80% of the country’s exports. QIMA data for 2014 shows that for factories that underwent ethical audits, 27% are at serious risk and 59% are not compliant. Factory closures should only be undertaken if employees are at immediate risk. QIMA's experience has shown that many of the faults found in the course of a properly executed audit program can be fixed with corrective action, training and education, contributing to the long term economic value of the factory and country. QIMA is a leading quality control service provider that partners with international Brands, Retailers and Importers to secure and manage their global supply chain. With unique web-based quality control management, QIMA offers Product Inspection, Factory Audit and Laboratory Testing services for more than 3,000 clients worldwide. 1. Fibre2Fashion. Vietnam’s fabric & garment exports jump 18% in Jan-May’14. June 18th, 2014. 2. Just Style. Bangladesh lags as Vietnam leads US import growth. June 5th, 2014. 3. The Guardian. How Adidas supported worker rights in China factory strike. June 12th, 2014. 4. ACCC. Textiles recalled after tests for azo dyes. June 11th, 2014. 5. Sourcing Journal. Survey finds challenges collecting value chain data. July 1st, 2014. 6. All Africa. Africa: President Obama Removes Swaziland, Reinstates Madagascar for AGOA Benefits. June 27th, 2014. 7. Times of India. India overtakes Germany and Italy, is new world No.2 in textile exports. June 3rd, 2014. 8. Reuters. Insight: Inspection tensions add to Bangladesh garment industry's woes. June 27th, 2014. Why Do You Need Lab Tests?